Day 65 – Vintage Postcard – Oh! How I Love You! 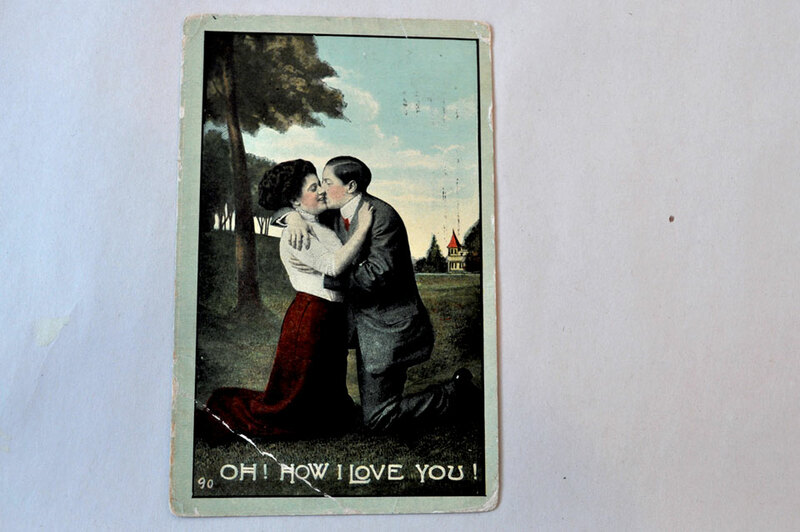 Vintage Postcard, “Oh How I Love You,” Postmarked March 14, 1913 (possibly 1918 – the impression is faint). Along with the Captain of the 29th Batallion, this postcard was part of the ephemera I purchased at the antiques flea market. And then the magnificent “Oh! How I Love You” on the other side – makes it seem all above board, but why is it addressed to a woman – unless that’s her return address? Tantalizingly, a quick google returns a record of a marriage between Roy Lloyd and Eleanor Creathbaum in Baker County, Oregon (not too far from Vancouver, BC I’m guessing) and it was in January 1915. If this card is from 1913 then it all fits. p.s. I started this blog on Feb 1, so it’s unlikely I’ll still be blogging about obsolescing things by next Valentines – otherwise I would have saved it as perfect for the 14th. It’s Easter and Passover, surely love fits in there somewhere. Just beautiful! I love quirky find like this. Romance was so much more romantic back in the day. 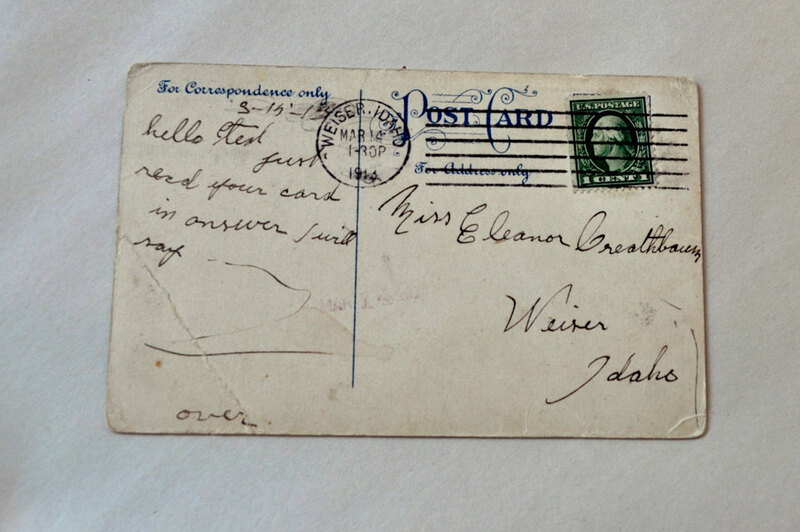 Yes, quite romantic to reply to a proposal by postcard.